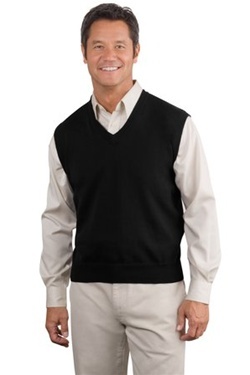 This V-neck sweater vest is made from combed cotton that creates a soft, elegant feel. The neck and armholes feature rib knit trim with a hand finish. Upscale classic styling makes this vest look top notch with a collared shirt.